Kansai Economic Federation (KANKEIREN) held the 1st General Meeting of "Asia Business Creation Platform (ABC Platform)" on April 5th. 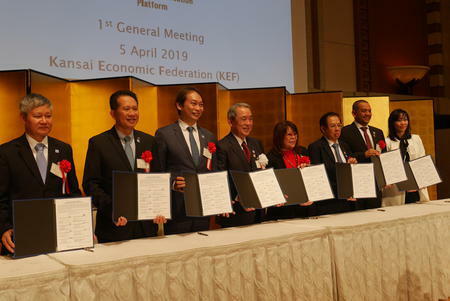 Kansai Economic Federation (KANKEIREN) held the 1st General Meeting of "Asia Business Creation Platform (ABC Platform)" on April 5th. The Presidents/Chairman and representatives of seven economic organizations* in Asian countries participated in the meeting. In addition, over 300 audience from mainly Japanese companies and Consulate Generals attended the general meeting. Seven representatives and Chairman of Kankeiren signed the Memorandum of Agreement (MOA) on Establishing. Also participants both from Japan and other countries in Asia did tremendously inspiring presentations about the expectation for the platform. 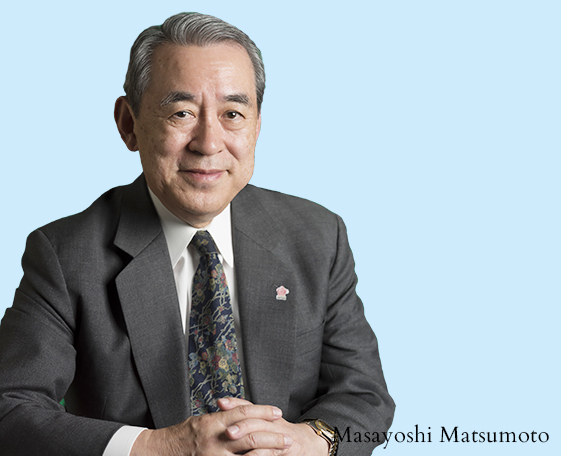 ABC Platform aims to create and expand business multi-laterally in 5 thematic working groups (TWGs)* and accelerate further economic development of Asia and Japan. Any companies and organizations of those countries are welcome to join the TWGs. The next General Meeting will be held in Singapore in 2020. . . Annual Booklet of Kankeiren's Profile.